Prof. Barbara Keys from the University of Melbourne is staying as Senior Research Fellow in May and June 2017 at the IEG Mainz. 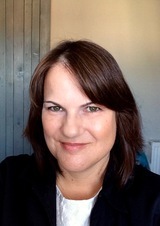 Her research focuses on the area of international human rights, the influence of transnational movements and organizations on international affairs, the role of emotions in history, and the history of sport. 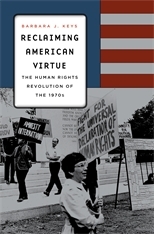 Her most recent book, Reclaiming American Virtue: The Human Rights Revolution of the 1970s (Harvard University Press, 2014), offers an explanation of the origins of the human rights “boom” of the 1970s in the United States. Her current projects include a book on anti-torture campaigns since the end of the Second World War and their effects on global human rights movements. Accordingly, she will give a lecture on the topic of “Anti-Torture Campaigns since 1945” on May 30, 2017 at the IEG. 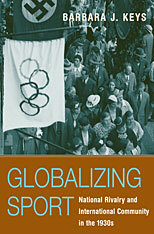 Her first book, Globalizing Sport: National Rivalry and International Community in the 1930s (Harvard University Press, 2006), is a transnational study of the emergence of international sports competitions as a significant political and cultural force in the 1930s. It won six prizes, including the Myrna Bernath Book Prize of the Society for Historians of American Foreign Relations and the best book award of the North American Society for Sport History. She has written several articles and chapters on sports in the Cold War. You can find and download many of her publications at academia.edu: https://unimelb.academia.edu/BarbaraKeys.